The latest edition of MasterChef South Africa is currently airing on M-NET and DStv and has not lost any popularity whatsoever – it has, in fact, garnered more interest, which has led to an extra weekly episode. However, as with any proceeding series, challenges are tougher and you could cut the tension in the kitchen with a knife (so to speak). The vicious competition and rivalries are reality show staples and will never lose interest from the viewing public. 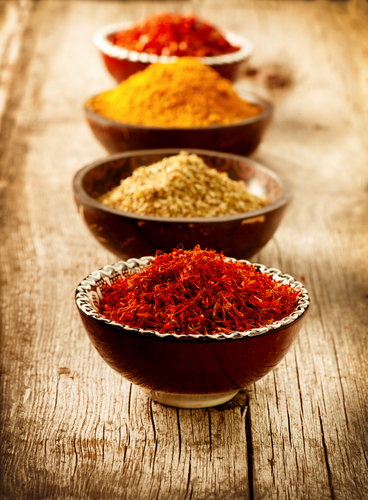 This season sees aspiring chefs cooking up eclectic dishes, using Robertsons quality spices, to wow the judges. Already, viewers have been enthralled and captivated by the entropy that is one of the distinctive attributes to a reality show. Pop the corn and add milk and cream to the same pot; allow this to simmer for about 20 minutes to allow the milk/cream mixture to infuse. Roughly chop the red onion and add to broth with the garlic. Infuse for another five minutes before adding five sage sprigs. Take both off the heat and allow the sage to infuse for about five minutes before passing broth through a sieve into a clean bowl. Meanwhile, cook the pasta according to the packet instructions for five minutes. Before serving, bring broth to a light simmer and add mussels. Once the mussels have opened, they are done. Serve the mussel/popcorn broth over a bed of pasta and scatter with the rest of the sage and finish off with some popped corn. Note: Maize pasta cooks a little longer than normal pasta. It is through innovative meals such as this that viewing numbers are constantly increasing. Masterchef South Africa is proudly sponsored by Robertsons. Visit Robertsons official website to learn more about their variety of spices.